Kuwait Finance House – Bahrain (KFH-Bahrain) has announced the winner of its investment savings account “Libshara” in a recent draw held at the Bank’s headquarters at the Bahrain World Trade Centre under the supervision of the Ministry of Industry, Commerce and Tourism, and in the presence of several officials from the Bank, Mr. Ali Haroon AlA’amer won the final luxury apartment in Marassi Al Bahrain, located in Diyar Al Muharraq, marking the last draw of the Bank’s 2017-2018 campaign. 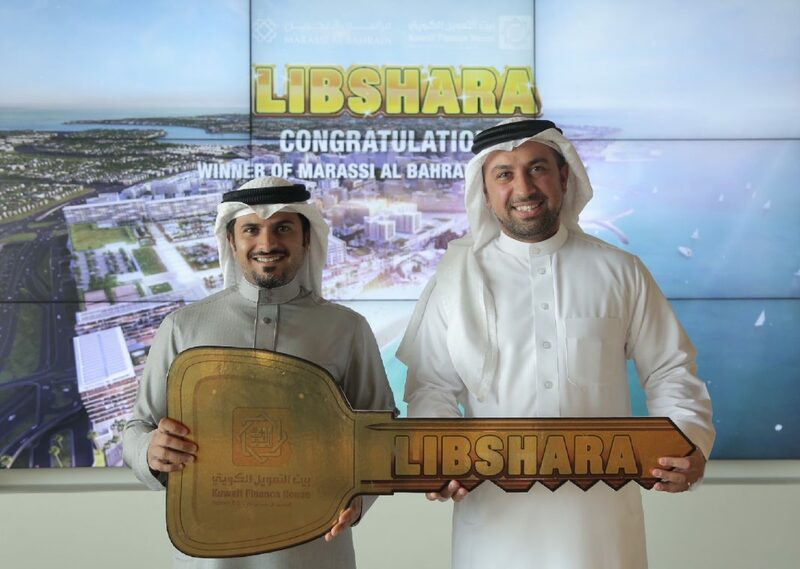 The 2019 “Libshara” Investment Savings Campaign encompasses grand prize awards, including 6 fully furnished 1 & 2 bedroom apartments with 2-year free service at Durrat Marina, located near Durrat Al Bahrain. New special segments have also been added to the campaign in order to increase the number of winners each month, where 60 winners will receive a monthly cash prize of $500 each, namely ‘Our Ladies’, ‘Our Children’, ‘Our Savers’ and ‘Our Cards’. Two new segments have been added, “Our Jazeel”, for Libshara customers who open a “Jazeel Saving Investment Account” using Jazeel by KFH app, and the other is “VIVA” for small and medium enterprises who are a client of VIVA Bahrain Company,” he added. The Sharia-compliant investment savings account ‘Libshara’ gives customers the opportunity to win many valuable monthly prizes. For a minimum of every BD50 or its equivalent in USD saved for a period of 30 days prior to the end of the month, customers are entitled to enter the monthly cash draws. Whereas an investment period of 90 days is equal to one chance at entering the Grand Prizes raffle draws, two chances every 180 days, and three chances every 360 days. The KFH – Bahrain ‘Libshara’ Savings Investment Account is available to institutions and corporations, as well as citizens and residents of the Kingdom of Bahrain and the GCC who are 18 years and above, as for minors, a legal guardian or parents can open an account using the application “Jazeel” without the need to visit the branch. The account also allows the client to receive annual profit rates distributed on a monthly basis.